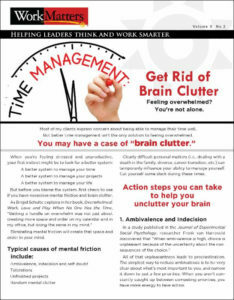 Having trouble with time management? What are your top three specific priorities for the month? If I asked you that question, would you be able to name them quickly? If not, you’re like many executives I know. When you think of time as something that needs to be managed, it seems like an external force you must control. So you try to organize it, structure it, manipulate it, etc. It’s a creature you wrestle. But true time management is not about time, it’s about clarity—clarity about priorities. Think of it as managing your mind. True time management requires more internal work—understanding how you think and why you think what you do. For example, if you give yourself an hour to work on an important priority but your phone rings, would you answer it? If you believe that being immediately responsive is important, you’ll probably answer your phone quickly. If you believe that reasonable responsiveness means you’ll call back in an hour, you might let it go. It’s your belief about responsiveness (or client service or professionalism) that influences you more than the actual commitment on your calendar. One key to executive effectiveness is being able to discern where you will invest your time. What activities will produce the highest ROI for you or your business over time? Make a quick list now. Name just three. What are some possibilities on your list? Whatever is on your list, be sure those areas fit your strengths–what you do well naturally. Stop trying to do so much. Instead do less so you can free yourself to focus on work that really matters at your level. 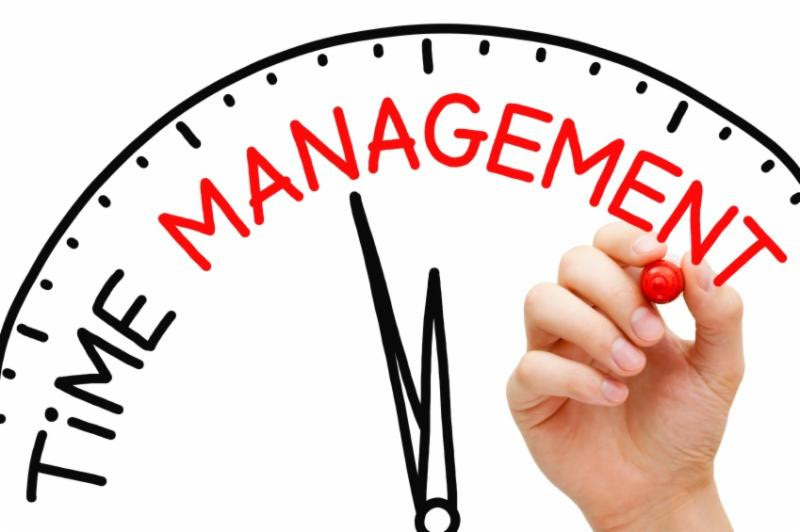 Time management is not about trying to pack in as much as you can in a day. It’s about deflecting what really does not have to get done—at least not by you. Time flies. So don’t try to catch it. With clear beliefs and priorities, you’ll accelerate results instead. Share a copy with someone else who may benefit.